Writing a biography of Vilayat Khan (1928-2004) was “a bit like chasing a hologram", says journalist and writer Namita Devidayal on the phone, “because every story (about him) had several versions". Yet, instead of becoming an impediment, this chameleonic personality of one of India’s greatest musicians provides enchantment to her beautiful new book. This protean quality also helped decide the tone, texture and format: “I was going to create a fluid portrait anchored in fact and narrated with poetic license," Devidayal explains, “like improvising on a jazz standard." 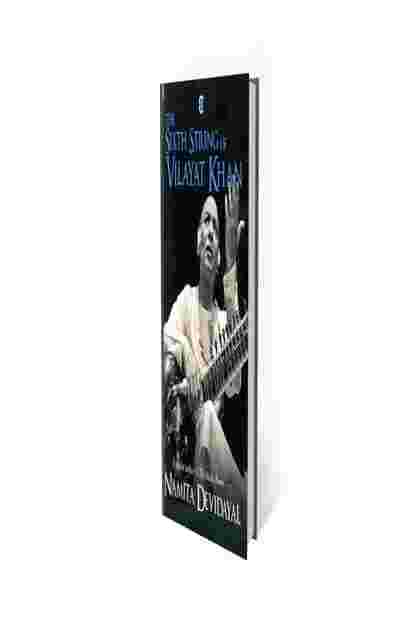 The Sixth String Of Vilayat Khan is Devidayal’s second non-fiction book since The Music Room (2007). Delightfully, it also pertains to Hindustani classical music, a genre about which Devidayal writes with palpable love, focusing closely on characters and feelings instead of being weighed down by the burden of scholarship and musicology. On 28 November, as the print edition of Devidayal’s book hits the stores, it will appear simultaneously as an audiobook, read by Namita Devidayal, on Audible India. Embedded in the text will be music by the maestro, such as the legendary performance of Raga Chandni Kedar he played at the Taj Mahal with his brother Imrat Khan on the surbahar in the 1960s. In her first book, Devidayal told the story of her association with her guru Dhondutai Kulkarni in a style that was amorphous. Blending the history of Hindustani classical vocal music with memoir, gender politics with guru-shishya parampara, it created a pastiche of emotions, harking back to such masters of the genre as the late Kumar Prasad Mukherji and Sheila Dhar. The Music Room forded a gulf between the compulsions of daily life (the imperative to earn a livelihood, get married and raise a family) and the rarefied ambitions of the musician (the struggle to find a room of their own to pursue their art, the desire for the approbation of peers and connoisseurs and the quest for spiritual elevation through music). Some of these themes run through Khan’s biography as well, though the canvas on which they play out are more flamboyant than what Kulkarni’s austere, self-effacing career would allow. 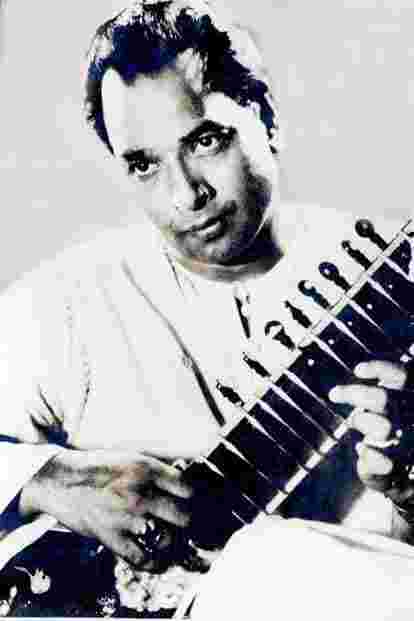 Vilayat Khan, as those who follow Hindustani classical music may know, was the Great Gatsby of the sitar. Born into a family of illustrious musicians, his grandfather was the legendary Imdad Khan. After the untimely demise of his father Enayat Khan, young Vilayat was left in the lurch. With no steady income or guidance from the family, not even from his father’s students (uniquely for a gharanedar musician, Inayat Khan broke ranks and “taught numerous non-hereditary musicians"), Vilayat was left under the tutelage and eagle eye of his stentorian mother, Basheeran Begum. In spite of his fondness for the good life, especially wine, women and, later, fancy cars (he threw a lavish party once for his adored Mercedes “Gazzala", which he drove down from Kabul to Mumbai), Vilayat Khan was devoted to his beloved sitar. He strummed it for most of the day, slept with it beside him, and his busy fingers traced taans and sargams in his dreams. He inherited this obsession from his grandfather, known as the “four-candle man". In the days before clocks, Devidayal writes, “He would light four candles one after another and practise for as long as they burned." Apparently, during one such session, his ailing daughter’s health took a turn for the worse, but Imdad Khan didn’t abandon his post. Midway into the third candle, the girl died, without a last glimpse of her father. While the younger Vilayat Khan (above) focused on technical virtuosity, he became more absorbed in melody as he matured. Vilayat Khan inherited not only this genetic disposition to deplete himself on his music, but also to go any length to achieve his goals. As Devidayal recounts, he once went to Indore in hot pursuit of a “learned musician… to memorise a composition that only that man knew." It’s never easy to persuade musicians to part with their precious cargo. Vilayat Khan tried coaxing, flattery, pressing his feet, even an offer of cash. When all failed, he finally pulled out a pistol. “Will you teach me, or do you wish to die?" he demanded. Suffice it to say, no party was harmed in the end. At the peak of his career, his music wooing millions across India on radio and public performances, Vilayat Khan would be invited to play every night to a very ill Jawaharlal Nehru, to help him gently fall asleep. In her pursuit of this immensely charismatic musician, Devidayal hasn’t papered over his frailties, the fits of jealousy against his brother Imrat and son Shujaat Hussain Khan for instance, or his unfaithfulness to his first wife, Monisha Hazra. Where possible, she has also travelled to the different places, including the US, where Vilayat Khan lived, met with his family, friends, lovers, students and associates. Yet, the key that unlocks the deepest truths about Vilayat Khan’s life lies in his music, about which Devidayal writes evocatively and with fine insight, giving us a more intimate portrait of the artist than anecdotes can. Although she met Vilayat Khan in person only once in Mumbai many years ago, Devidayal’s admiration of his music had a long incubation: from attending live performances to listening to his recordings to even a spell of learning the sitar to better understand the sublime, magical intricacies of his style. Vilayat Khan made several modifications to the traditional form of the sitar, doing away with one string and the gourd on top, to create a pitch and timbre that was at once dulcet and as pliable as the human voice. His style was widely adored because he masterfully incorporated “the emotional elements of vocal music into an instrument," says Devidayal. Consequently, Vilayat Khan elicited from his sitar sounds that people hadn’t heard before: melody that could simulate tragedy (refer to the background score of Satyajit Ray’s movie Jalsaghar, where Vilayat Khan was the music director), the shringar rasa (sample his short drut gat in Raga Gara, with Zakir Hussain on the tabla), pain and longing (he played thumris, kirtans and other folk or light classical compositions, cajoling his sitar to sing, and often sang along during live performances, as though to encourage his sitar to follow suit). Always dressed elegantly, with a stage presence befitting a rock star, Vilayat Khan remained irresistibly attractive till the very end. If his cultivation of a mercurial persona and unique style shook the musical orthodoxy, he never violated the spirit of a raga. In spite of his name and fortune, both in India and beyond, Vilayat Khan remained an iconoclast, a solitary figure, who never was as revered in the West as his arch-rival Pandit Ravi Shankar. To understand Vilayat Khan’ music, one must take a detour into Ravi Shankar’s phenomenal career. “In one of his interviews, Ravi Shankar says he never changed his music, only shortened it and explained it better for newer audiences," says Devidayal. His collaborations with Yehudi Menuhin and George Harrison opened doors to fame and glory, turning him into a stalwart of the newly emerging field of “world music". Vilayat Khan, by contrast, remained suspicious of collaborations and, after an initial hankering for recognition, became disenchanted with the trappings of public acclaim, scorning the honours bestowed on him by the Indian state. Yet, he was never conservative in his musical tastes, having composed for popular cinema, and often played the blues, especially the records of Ella Fitzgerald, with great relish. “He made a very deliberate choice to go deep rather than beyond, to stay solitary and serve as a reminder that there are spaces more intoxicating than fame," says Devidayal. His art, as she says, was rightly described “as a narrative of resistance".